Tuesday, March 20th……..Welcome to the First Day of Spring 2012! Today is also the day that MountainWeather.com launches the mobile version of the website. Created and developed for MountainWeather by Gliffen Designs of Jackson Hole, the same great web folks who designed the new version of the main MountainWeather.com site a little over a year ago. 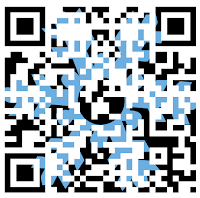 Or, scan the QR code below with you phone! The main reason is, that weather happens outside, and now you will have access to MountainWeather everywhere, and on the go! Whether you are outdoors recreating or on the road travelling, now you can stay updated with current weather conditions, the Jackson Hole forecast, weather maps, road reports, webcams, and more. Second reason is, there has been a tremendous increase in the number of times people were accessing the main MountainWeather site with mobile devices over the past 6 months, and since almost half of the mobile phone users in the US have smartphones, it seemed like the time was right. Now you can access MountainWeather, wherever! This mobile version of mountainweather.com is basically a website formatted to fit the screens of most smartphones. It contains a condensed version of the more popular weather products and information available on the main website. This is not an “app”, but it will look like and feel like an “app” on your smartphone. The beauty of a “mobile” version of a website is, it will work across all smartphone platforms and operating systems, and will be iPhone, Android, and Blackberry friendly. The other advantage of a mobile version vs. an app is that a mobile version can constantly be updated and information added, whereas an app would have to wait for a newer version to be developed. To add an icon to your smartphone’s screen, follow the instructions below. 1) Tap the options button at the bottom of the screen box with an arrow coming out of it), then choose “Add to Home Screen”. 2) Name it something short, such as “MW Mobile”, then tap “add”. 3) You now have a MountainWeather Mobile icon on your phone. 4) Tap that icon like you would any other icon for the many apps you have. 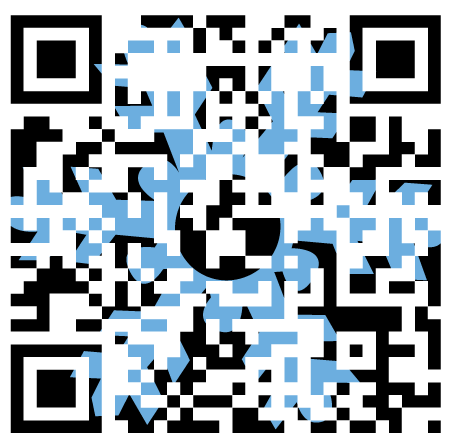 Type in www.mountainweather.com in your phone’s web browser. The other bonus of adding icons to your phone in this manner from your browser is, you are able to make as many icons as you like for your most frequently visited pages on the site. For instance, if looking at Satellite photos is your thing, then go to the Satellite & Radar page and save that specific page to your home screen. The idea with the mobile site is to be able to view most products without having to pinch and expand any more than is necessary to view the information. Some weather content is not really formatted for smartphones, but is included on the mobile site anyway, so you can still have access to these products. They will require some manipulation after opening that page. You always have the option to view all the weather products available on the main site, which you can do anytime by going to “VIEW FULL SITE” at the bottom of each page. Particularly if there is a weather product you like that is not listed on the mobile site. Satellite loops for instance can be viewed by tapping the satellite photo of your choice, then the loop will open in a separate window or page. On that page, just expand or pinch to zoom in or out to the desired viewing size. These loops also have full controls, to go slower or faster, step through one-at-a-time, etc. Road Reports for each of the States listed vary widely in their presentation. Utah is the least friendly to look at on your phone. I’ll be on the lookout for improvements with those, as time goes on. This mobile version of mountainweather.com will have more info will be added through this Spring and Summer, with more webcams, weather stations, etc. coming soon. So, keep checking back to see what’s new. And remember, even though this site is free to use, no app fee, no monthly charges, no cost to you…..please tap on the advertising sponsors banners to see what they are all about, and support those who support MountainWeather. They are what keeps this engine running!